Great post, I love all the handbags you posted. I'd love it if you could check out my blog, it'd mean a lot. fun post..have a fantastic weekend! love those neon outfits! so cute :) have a great weekend! Love that wine peplum top at lower left! I adore leopard and lilies too!! great round up! Another great it list! Loving the ladies in yellow :) So vibrant. 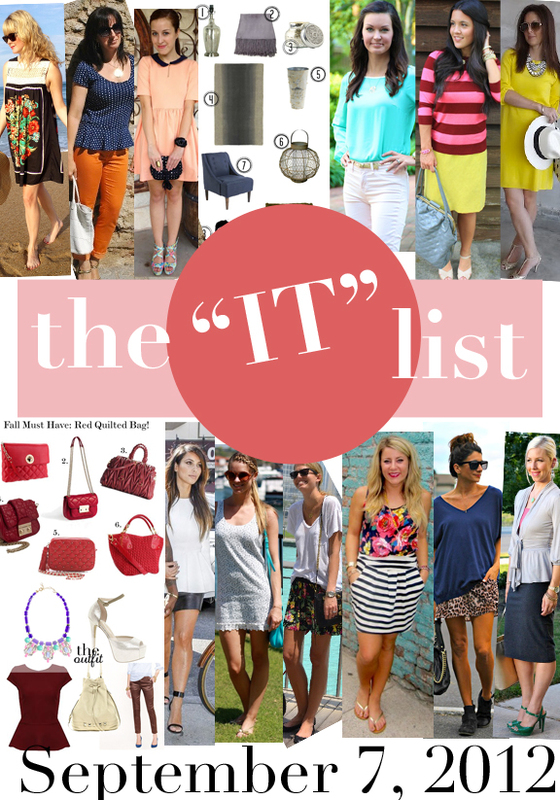 loving this 'it' list! great post! !